Do you want to spend 4 days training with an astronaut instructor on a macaronesian island? 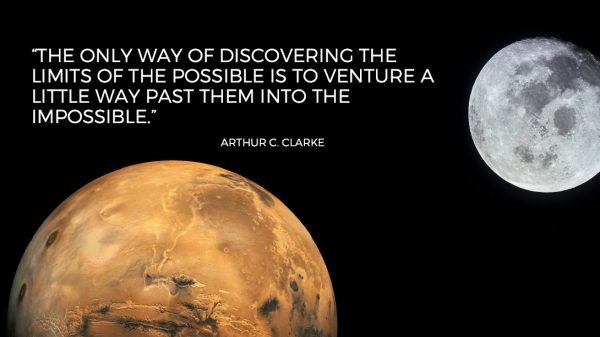 Do you want to be part of a disruptive group that generates new ideas for the era of the planetary leap? Do you want to grow as a person and as a professional with the help of a leading researcher? If your answer to the above questions is „yes“ then you should register for the training programme „Virtuosi: Other Worlds (VOW)“, which will take place in Gran Canaria from April 24 to 28, 2019. What is VOW and what is the purpose of it? VOW is an innovative training programme that has been specially designed to give professionals from different fields the chance to learn first-hand about cutting-edge scientific and technological activities. This first edition, „OTHER WORLDS“, will focus on the present and future of planetary exploration. 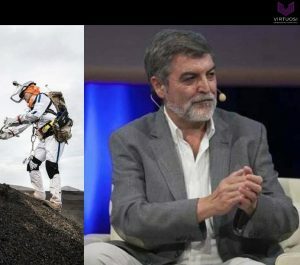 Hand in hand with Dr. Martínez Frías, European Space Agency astronaut instructor and an internationally renowned scientist, the possibilities and challenges posed by direct interaction with other celestial bodies (planets, moons, comets, etc.) will be analysed in an interdisciplinary and participative manner, whether from a scientific, technological, medical, architectural, economic, legal, political, educational and artistic point of view. VOW wants to show you that mankind is before a change of paradigm and that you can be part of it from your area of expertise. Space mining, planetary habitability, space medicine, space law, planetary ethics and many other activities that sound more like „scientific fiction“ than true disciplines are already a reality. The objectives of VOW include the personal and professional growth of the participants through knowledge, scientific thought and creativity. But what gives this program an expansive character and international projection is the creation of synergies and interdisciplinary networks. The aim is to create a disruptive environment for starting new projects and collaborations, interdisciplinary lines of research and work, innovative entrepreneurship and new formats of communication and education. The future of Humanity on Earth and on other planets depends on our joint, conscious, sustainable, ethical and efficient work. To whom is VOW addressed? The contents and ideas generated during VOW will be collected in a pluridisciplinary report that will be published in various platforms and media. This will give transparency tot he participants and their companies with regard to the business world and the general public. Dr. Martínez Frías is a renowned planetary geologist and expert in meteorites and astrobiology. He is the author and editor of 6 books and 220 articles published in the most prestigious scientific journals. He is involved in several NASA and ESA scientific missions, including NASA’s Curiosity mission, Mars2020 mission and ESA’s ExoMars mission. 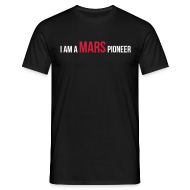 He is also a member of the BIOMEX team (Biology and Mars Experiment), a founding member of various scientific committees that will make decisions about future human on other planets, and the instructor of ESA’s first martian astronauts.